Your Our World, Our Numbers entry is a brilliant information packed post. When I visited Great Britain (I wasn't able to make it to Northern Ireland), I enjoyed all from the busy, history laden streets of London to driving minor and major roads across England, Scotland and Wales. Apart from the brilliant scenery and historical locations of my ancestors, I found Great Britain very compact in comparison to Australia. Looking at your post, I found Great Britain has approximately 2.7 times Australia's population yet Australia is approx. 33.4 times larger than all of Great Britain. Our population density is quite low in comparison but it must be remembered much of Australia is arid (desert) or semi-arid so most people are found along our coastline. This is a photo I took back in 1985 when I arranged a trip for families from my school to travel to Uluru (Ayers Rock) in central Australia. 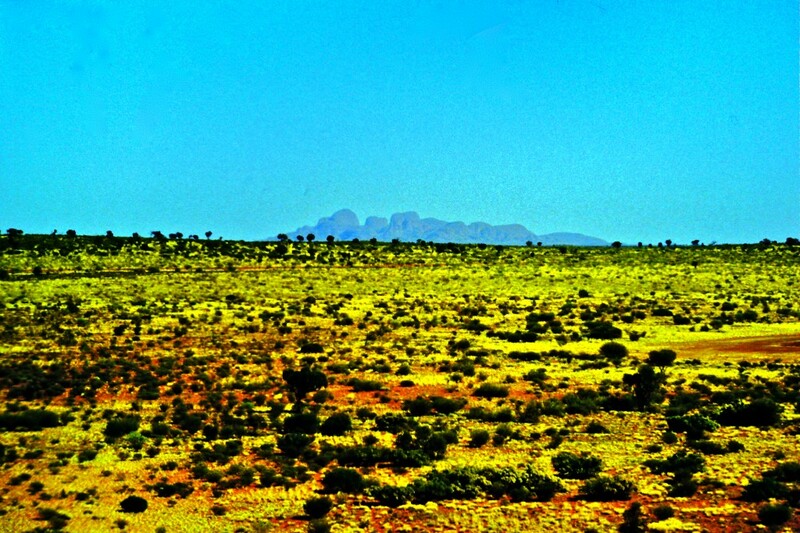 In the distance you can see Katatjuta (The Olgas) and the surrounding desert areas. I drove a 20 seater bus on a round trip from Sydney to Uluru and back, covering about 6000km (3728 miles). To give you an example of distances, my first school as a permanent teacher sat on a flat clay pan area surrounded by sheep and cattle properties. 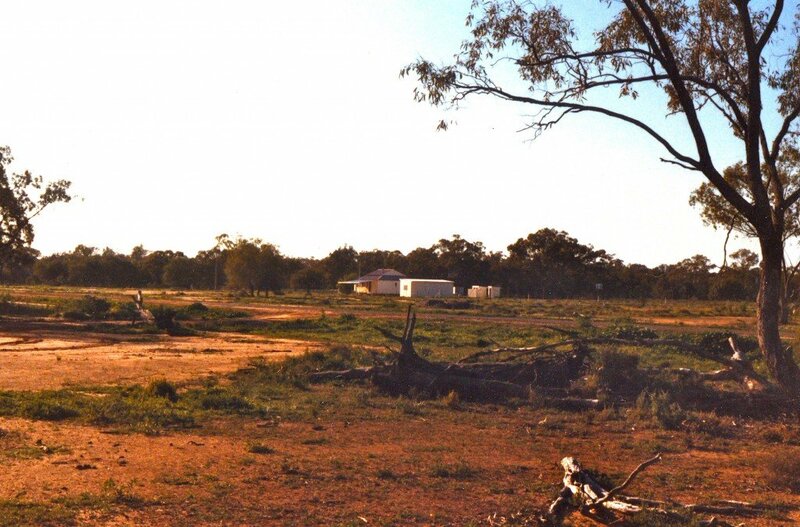 I stayed in a house on a property of around 100,000 acres (that's about 405 square kilometres). I would drive the 20 km (12.5 miles) to school without passing another house and only very rarely seeing another car. The closest town to the school was 100 km (62.5 miles) distant. Here is a photo of the school. 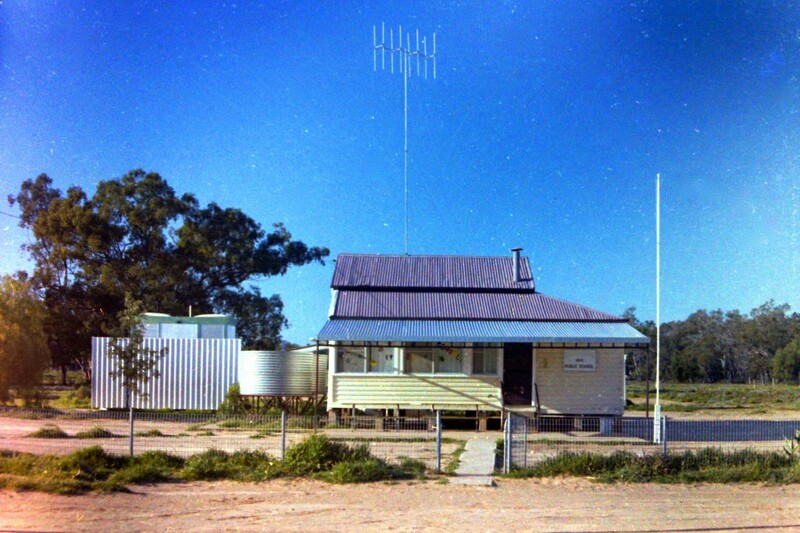 This is a photo of Old Sydney Town taken in 1983. 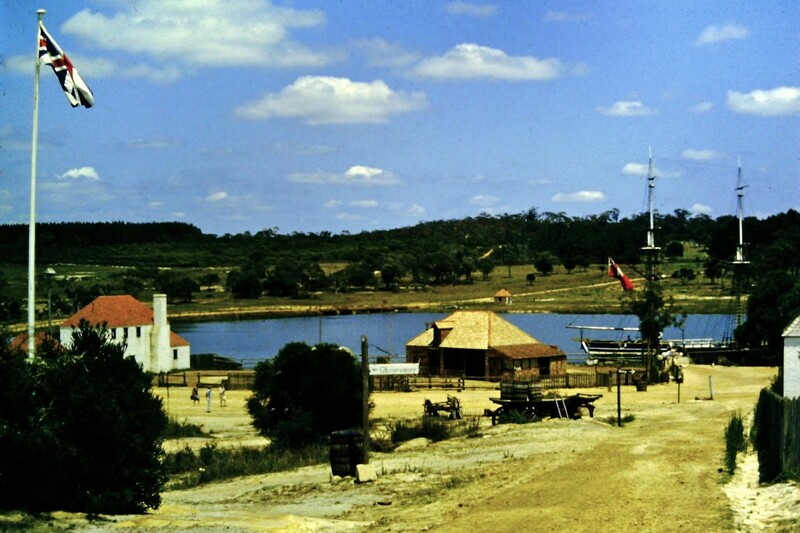 It was an historical reconstruction of Sydney set around 1800. You can see the above flag flying on the flagpole. A check into history and I see this flag was used from 1606 to 1801 (Wikipedia link). Notice it didn't have the flag for Northern Ireland? If you look at the date when this flag was first raised, you can calculate how long ago it was. Australia only became a nation on January 1, 1901. Before that, we were a collection of British colonies. 4KM and 4KJ would have been in the colony of Victoria and I would have lived in the colony of New South Wales. The Union Flag shows our link to our colonial past. Posted in Australia, Geography, History, Our World, Its Nations and Continents and tagged Australia, colonial history, Great Britain, Katatjuta, land area, Old Sydney Town, population, population density, Union Flag, Union Flag 1606 to1801, Union Jack on May 6, 2013 by rossmannell.